Spitfire EX Portable Mobility Scooter combines the stability regular scooter with a roomy design. 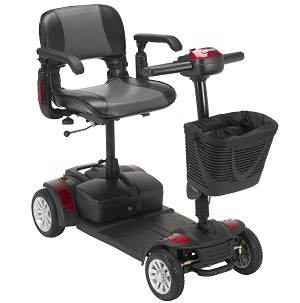 Anti-tip wheels, a padded swivel seat and an adjustable Delta tiller contribute to a comfortable ride. 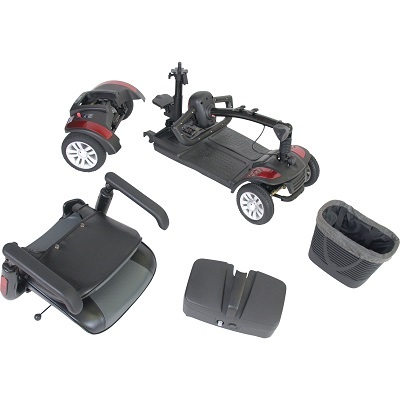 The Spitfire EX Portable Mobility Scooter features a quick disconnect system that allows the scooter to be easily disassembled into five lightweight pieces and comes standard with three interchangeable color panels, red, blue and silver. Drive offers a Peace of Mind (POM) extended warranty, call us for price 855-528-2539. Includes interchangeable color panels in Red, Blue & Silver.